I’ve always loved home decorating. Even when I was a small child, one of my favorite activities was to decorate my room. I would put my toys into “scenes” and make sure all my pillows and decorations were just right. No matter how cute a room is, if it is cluttered, it is not going to look pretty. Do what you can to eliminate clutter. Hide cords behind furniture, store toys in closed boxes, have a dedicated storage area for shoes and clothes, and do whatever you can to eliminate clutter. Often, furniture is placed out of convenience rather than from a design standpoint. It may even have been left where the movers last placed it! You can make quite a bit of difference in a room simply by moving the furniture to a new location. In some cases, you may simply have too much furniture in a room. If every wall is covered in furniture it can make a room look overly cluttered and dirty even when it is clean. Start by putting the essential pieces in the room, then, if the room seems too bare, add in the other pieces one at a time until it feels the way you want. If you are anything like I am, a lot of your furniture was given to you or purchased from flea markets and garage sales. This can create a mix of furniture that doesn’t quite go together. One easy way to fix this is by putting pieces that are of similar color or tone into the same room. For example, if you have both light and dark wood, put all of the dark wood in one room, and the lighter wood in another room. Now that clutter is gone, you can enjoy the variety of textures and colors! I find that my favorite rooms have a variety of textures. For example, consider the textures found on the above plant, globe, vases, or consider a clock or books. Plus, now you can put almost anything on the wall with the right fastener. I’ve seen some really incredible things hung on people’s walls, including crumpled paper, plates, fake antlers, and even guitars! I believe it is the unexpected texture that makes all the difference. You can also add texture to a room by adding pillows to chairs, filling a vase with beans or rocks, or draping a trunk with a fluffy blanket. In general, groupings of objects look better than things spread out randomly across a room. For example, if you have a collection of ceramic pigs, placing the pigs in a small grouping will usually look better than placing a pig on every surface. On our bookshelf, I have three green vases of varying shades and colors together as a grouping. The more colors there are in a room, the more confusing it can get. Aside from the base neutral colors (like white, black, brown, and grey), it is usually best to stick to 2-3 complimenting colors in a room. In some cases, you can also add in an additional contrast color, but fewer colors will provide a more “professional” look. So, if you decided your colors are blue and green, your room will look most cohesive if most of the colors in the room are shades of blue and green. Our bookshelf has four shades of green and variations of brown. 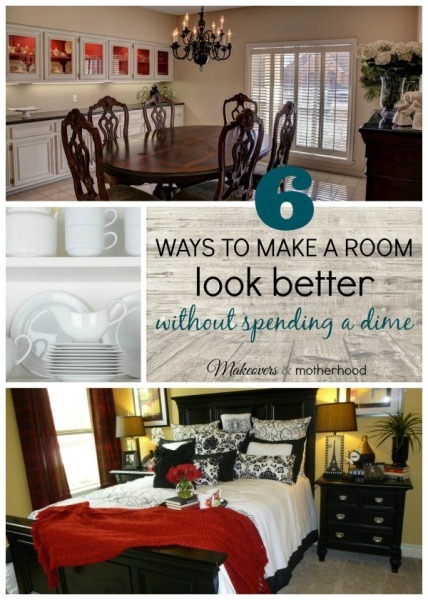 These tips will help you make any room look better in just a few minutes! You may be surprised how much you can do with what you already own. 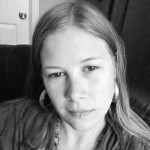 Brenda is a writer, budget decorating fanatic, and homeschooling mom to two girls. 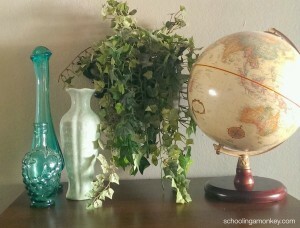 She blogs about homeschooling, crafts, decorating, and more at Schooling a Monkey. Keep up with the fun on Facebook or Twitter!